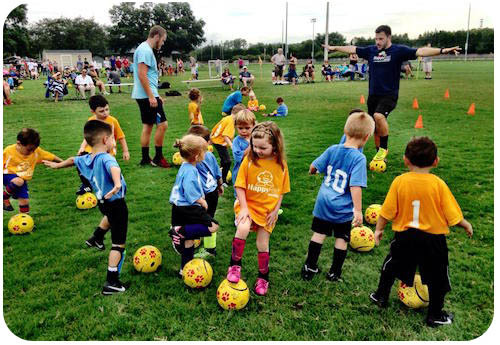 HappyFeet offers age-appropriate child fitness soccer programs that are GREAT FUN for kids. Our team of experienced youth soccer coaches come to your school once a week, delivering convenience, safety, savings and enjoyment for families. The HappyFeet goal is that each and every kid has fun, improves their fitness, increases their enjoyment of fitness activities, achieves a higher self concept and gains advance skill! HappyFeet curriculum benefits both boys and girls in its goals and through its approach. Save time! No driving or waiting.